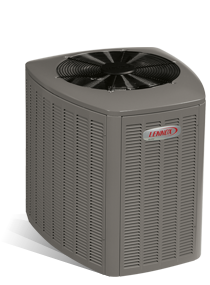 You can trust the Lennox Company to produce the best heat pumps, renowned for their efficiency and durability, and their XP17 18 seer heat pump provides quality services so that consumers are guaranteed comfort and satisfaction. The XP17 is known for its energy efficiency and dependability and also qualifies for the federal tax credit which makes it also affordable. The XP17 heat pump has a number of key features that ensures it is a highly sought after unit. The Dave Lennox Signature Collection XP17 Heat Pump offers you service as well as a team of dedicated workers to give you the reassurance of quality. 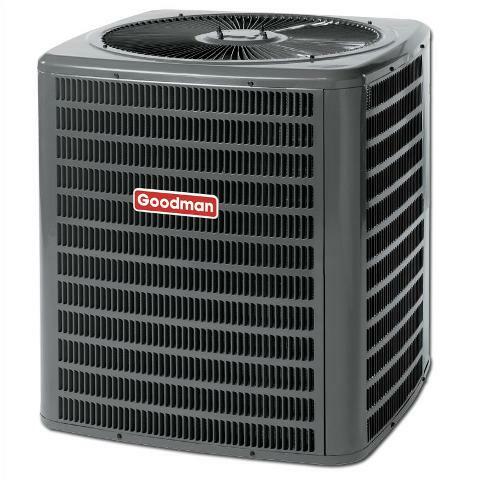 For this heat pump to function perfectly it requires pairing with a compatible air handler or indoor furnace depending on the season, and Lennox dealers will provide the necessary advice on this matter. Environmentally friendly – uses the R-410A refrigerant and also operates very quietly at 62 db. 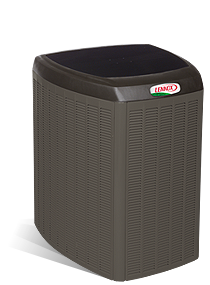 Efficiency – out door coil and dual fuel capability – the unit makes use of I comfort technology and has a patented compressor to ensure durability – comes with Humiditrol to aid in proper functioning. SEER rating is 18 and a 9.5 HSPF – save over 40 % of your energy costs. It produces the least sound you can hardly hear it. It is as low as 62. Small wonder that this heat pump has earned the position as the most efficient single stage heat pump you can purchase. The HSPF rating is an indication of the efficiency of the heat pump during summer, and an HSPF rating of 9.50 is among the top HSPF ratings a heat pump can achieve. Energy Star Qualified – High Efficiency Outdoor Coil – decreases resistance to the transfer of heat from the inside of your home to the outside during the summer and vise versa in the winter. Noise Reducing Compressor Cover – the compressor cover was designed to fit your heat pump’s components in order to reduce the noise of operation. SunSource Solar-Ready – add a couple of modules; with each additional panel, you will pay far less on your electricity bill. With a SunSource solar installation you will also qualify for a tax credit. Additional federal, state and local tax rebates and incentives are possibly available with a SunSource solar installation. iComfort enabled – synced together with an icomfort touch screen Thermostat. Makes it easier for your systems to communicate in order to optimize energy efficiency and performance. Dual-Fuel Option – combine this system with your traditional gas furnace for a transition between gas and electric heat. Your system will choose which unit is more cost effective to use based on the demands of the season. When it comes to pricing, current prices are the 2.5 ton capacity units costing approximately $9,020 while the 4.0 ton capacity units are priced at approximately $9,520. There are online merchants who give prices of the Lennox XP17 Heat Pumps, and some of their current costs are approximately $4,000 upwards, inclusive of installation charges. The costs normally depend on the ton capacity. The cost is determined by the weather condition in your area as well as fuel rates. The system settings and your lifestyle will need to be taken in to account. You can expect to pay anything from $4,000 upwards and sometimes installation is included. Warranty policies – the Dave Lennox Signature Collection XP17 Heat Pump has ten year warranty on the compressor and all other components as well as a labor warranty of up to a year. This warranty may be extended at an additional cost. SilentComfort Outdoor Fan Motor with Composite Fan Blades – this component also prevents debris from interfering with performance. By automatically increasing starting torque, the fan will burst through obstructions that prevent total comfort. PermaGuardCabinet – rust and corrosion pose a problem but the XP17 is equipped with a PermaGuard cabinet to deliver long-term protection against damage. SmartHinge Louver Design – allows the heat pump’s cabinet to open easily for easy access to all major components within the system. For maintenance, it is easy for the technician to clean the system thoroughly and efficiently. 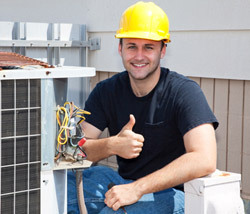 Lennox components feature the best warranties in the industry.